You can find everything about the Berlinale Shorts and the Berlinale Talents. Magazine, trailers, Mapping Your Mind drawings. Interior, day. Oncological Research Center in Berlin, January 2011. A film team meets with researchers. 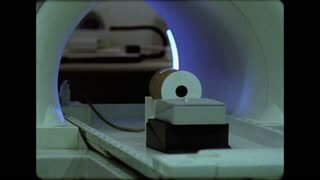 Using analogue filming methods, the film team records experiments performed on mice. The mice are forced to undergo diverse measures. Whether the film deals with one or several tests, one or several mice is difficult to ascertain -- the tests and the naked animals are too similar. Parallel to this, the film team documents their own activities, necessary to make the recordings. In LABORAT, filmmaker Guillaume Cailleau interweaves the levels. He documents examinations performed on the object with great precision, while simultaneously reflecting on the process of the documentation itself. Distance to the object becomes suspended. The object becomes the subject, the spectator an accomplice. A tapestry of images. Unease sets in. There's a candy bubble gum, there's a swing, so there must be love as well - somewhere. Several pregnant women needing particular attention live in the Cuban Maternal Waiting Home 'La Casona' ('The Big House'). Yudi, a 15-years old girl tries, just as the others, to maintain a distant and dysfunctional relationship with the father of her future child.